Meet the RS&I Sales Team. Helping Authorized Retailers Is Our Thing. Last week, we held our 2017 National Sales Meeting in beautiful Idaho Falls, Idaho. 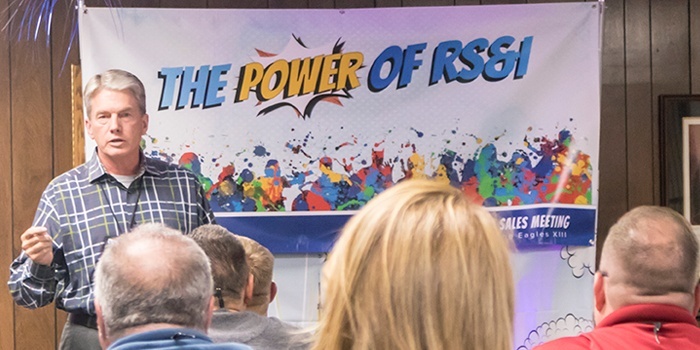 It's an annual event where we bring our entire sales team into one location to be trained by our management team and business partners, to boost our social strength and to enjoy some fun events. It gets everyone on the same page and re-energizes us for the coming year. We thought we would give you a bird's eye view into the meeting to see the effort we put into building a top-notch sales team. It's a great way to help you get to know RS&I. After all, we're extremely focused on helping others become an authorized retailer and incorporating each opportunity we offer into their line of products and services.